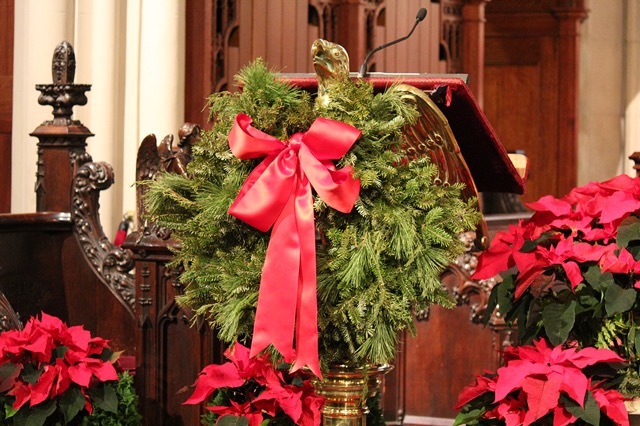 Due to special holiday celebrations and work on the church the schedule in December is very special. Please note dates below when the Bach at Noon or Weekend Organ Meditations will not take place. We wish you and yours a joyful and safe Holiday Season! No Bach at Noon Wednesday to Friday 23 – 25 November, Happy Thanksgiving! No Saturday Organ Meditation 26 November, Happy Thanksgiving! No Saturday Organ Meditation 3 December. No Sunday Organ Meditation 4 December, instead, at 4:00 p.m. The Adult Choir will offer Advent Lessons and Music. Monday and Tuesday 5 and 6 December the Church is closed for restoration work, no Bach at Noon on Tuesday 6 December. 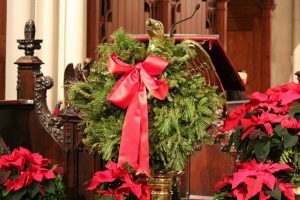 No Bach at Noon on Wednesday 7 December, instead, the combined choristers of the Grace Church Choirs will offer the Annual Community Carol Sing in the Church from 12:15 – 12:45 p.m.
No Saturday Organ Meditation on 10 December due to the celebration of a Wedding. No Sunday Organ Meditation on 11 December, instead, please come enjoy the Annual Offering of Britten’s A CEREMONY OF CAROLS by the Girls’ Choir with Alumni and Ladies from the Adult and Parish Choirs. No Bach at Noon on 16 December due to GCS Closing exercises for December. No Sunday Organ Meditation on 18 December due to Christmas Pageant Rehearsals. 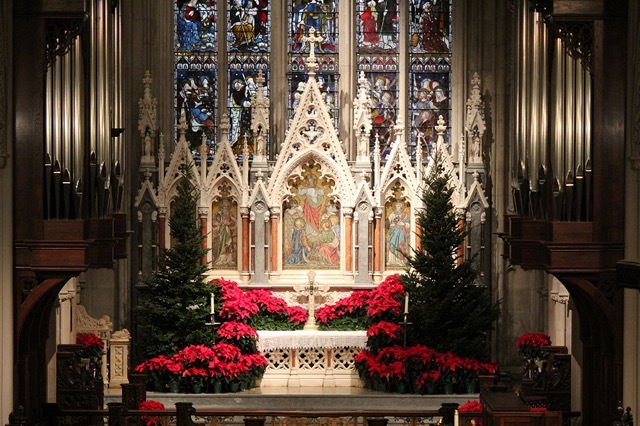 The Weekend Organ Meditations begins Winter Recess until Saturday 7 January at 4:00 p.m.